Hemp seed oil has a bit of a cult following. As an incredibly nourishing oil for skin on many levels, it plumps the look of your skin, firms and tightens your skin's appearance, and provides powerful antioxidant activity to help promote beautiful skin. If you’re looking for a new oil that can do all these things and more, look into hemp seed oil. 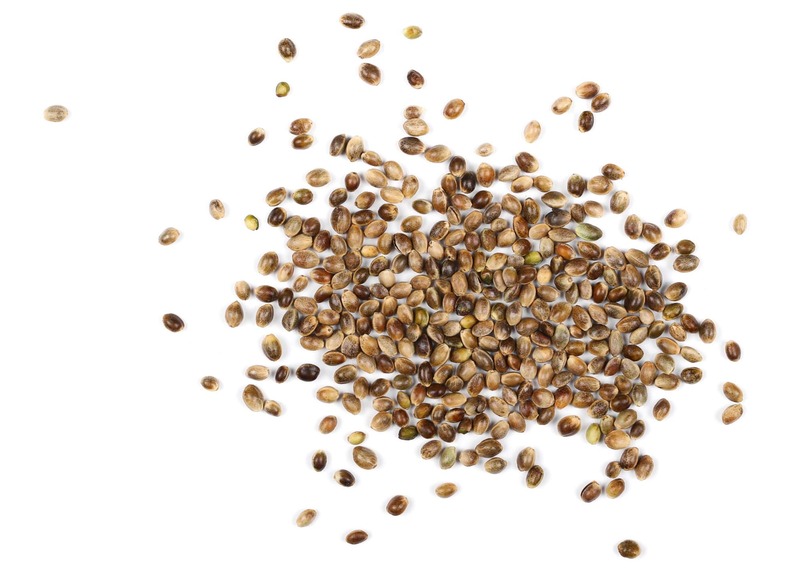 Hemp seed oil comes from the seeds of the hemp plant, which is a variety of the Cannabis sativa plant species. You’ve probably heard of Cannabis as it relates to marijuana, but the species used to make the drug contains higher levels of the component “tetrahydrocannabinol (THC),” which is the component that contains psychoactive properties. Regular hemp, however, has much lower concentrations of THC, and higher concentrations of “cannabidiol (CBD),” which actually reduces or eliminates the psychoactive effects. In fact, the standard hemp plant has been used for centuries to make rope, clothes, food, paper, plastics, insulation, textiles, and more, while the seeds were eaten raw or ground into a meal. In addition, the hemp seeds don’t contain THC. Provides-long lasting moisture: If your skin gets dry halfway through the day, you may want to try this oil, since continued use over time will help your skin’s ability to retain moisture. Balance Oily Skin: Because hemp seed oil doesn’t clog pores, it’s often thought to be the ideal moisturizer for skin that has suffered from these issues. Skin calming: If you could use some relief from the feeling of some temporary skin irritation, this may be the oil for you. Hemp seed oil is naturally calming and the moisture it provides combats temporary discomfort. Reduces the appearance of fine lines and wrinkles: Hemp seed oil can protect against different environmental factors and can help reduce the appearance of fine lines and wrinkles. Suitable for all skin types: What do you do if your skin is just struggling? Maybe you have clogged pores or dryness all at once. Hemp seed oil is calming and soothing while providing just the right amount of moisture. Have you used hemp seed oil? Let us know in the comments below! PubMed – Efficacy of dietary hempseed oil in patients with atopic dermatitis. I have a hard time looking for one specifically for face. Do you think hemp seed cooking oil can also be use for face and body? Or is there no difference, since no matter what, it’s 100% hemp seed oil, doesn’t matter for face or for cooking? Just started using cold pressed, organic hemp seed oil as a natural moisturizer. I have oily skin but this oil is working great!!! I love hemp seed oil for my skin it’s what I use as my regular moisturiser. During my 3rd pregnancy my skin was in bad condition due to hormones and my pores were very clogged. The hemp seed oil helped to re balance my skin and let it recover. The only thing is, although it is non cognogenic, your face may purge for a few days as mine did at first use as it helps your pores clear out the hard sebum but if you stick with it after this your skin can look wonderful. Does it help in eczema? has anyone or can anyone recommend a recipe of hemp seed oil and rosehip seed oil as a face moisturizer ? I’ve never used unrefined hemp seed oil before. Will it leave a green hue on my skin if I use it as a moisturizer? Or add it to a body butter blend? It generally will not leave a green hue, but if it does, perhaps try mixing it half and half with another oil like grapeseed. I have always suffered from bad skin so I thought I would finally turn to more natural sources of care. Thanks for letting me know that hemp oil can actually be ideal for people with clogged pores since it doesn’t do that. I will definitely have to look into hemp oil since I have always had really clogged pores. I use jojoba oil, Shea butter and hemp seeds oil, whipped together. Jojoba oil is the closest thing nature makes to our own body oil. It protects and helps your skin heal. Mixed with Shea butter and hemp seeds oil, my skin looks 10 yrs younger. It’s tight and hydrated. Love it. I have all of those things on hand right now, do you have a recipe? Just started using it in and over our food…thanks for the tip about using it on the face…LOVE IT. I make a whipped body butter from hemp seed oil, coconut oil and shea butter. It is abolutely fab! No more dry patches. I don’t even have to apply it daily. It has long term effect and it is easily absorbed. Be careful with coconut oil as it is high on the comodegenic scale. It could make you break out. Some people swear by it though! Hemp oil is 0 on the scale, no chance of clogging pores. I have used hemp seed oil for years and it HYDRATES the skin instead of just moisturizing. It is an essential product for your skin! Diane, comment below : Which hemp oil products did you buy ? Would love to try. Any rec from Annmarie staff? Thank you. I have been using hemp seed oil mixed with lemon essential oil on my face every night for about 6 months. I had read that the hemp seed oil is moisturizing but not pore clogging, and the lemon essential oil helps to lighten dark spots. I absolutely love the results. My skin is bright and moisturized without being oily. I have had a lot of people ask what I use on my skin. My morning routine includes Annmarie face serum and oil, and in the evening I use the hemp seed oil with lemon essential oil. Love it. What body oils did you use? I get super dry, cracked hands in the winter and would love something to try! I would love to know the names and brands/manufacturers of those products, particularly the one you gave your sis in law. If you would be so kind as to share this info it would be greatly appreciated.